But when does a break become a break-up? When Hugh returns, if he returns, will he be the same man she married? 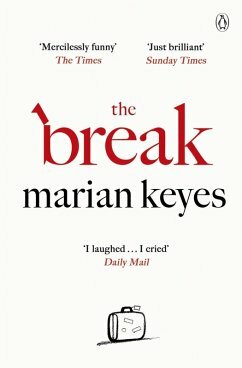 Marian Keyes is the international bestselling author of Watermelon, Lucy Sullivan is Getting Married, Rachel's Holiday, Last Chance Saloon, Sushi for Beginners, Angels, The Other Side of the Story, Anybody Out There, This Charming Man, The Brightest Star in the Sky, The Mystery of Mercy Close, The Woman Who Stole My Life and The Break. Her journalism, collected under two titles, Making It Up As I Go Along and Under the Duvet: Deluxe Edition, containing the original publications Under the Duvet and Further Under the Duvet, are also available from Penguin. Marian lives in Dublin with her husband.